There probably won’t be very many book reviews posted here, because if you know me.. you know how much I hate to read. Reading is one of those things that I really wish I enjoyed, but I just never have. Maybe one day I’ll learn to love reading, but until then I’ll be happy to read (but more importantly, finish) at least two books every year. One book that I’m proud to say I read this year was Why We Love Dogs, Eat Pigs, & Wear Cows: An Introduction to Carnism written by social psychologist Melanie Joy Ph. D. I had been wanting to read this book for about a year, and finally forced myself to go to the library, check it out, and actually read. Ever since going vegan, and understanding the social norms that surround eating and using animal products, I’ve been fascinated at the psychological reasoning and history behind using animals for our own use. This book really encompassed a lot of the topics I was interested in, so I found it very informative and eye-opening. Recently I, along with one of my friends who is also a nutrition major, attended the North Carolina Dietetic Association’s quarterly meeting in Charlotte, NC. While in Charlotte, I decided to check out a restaurant that I had heard great reviews about. 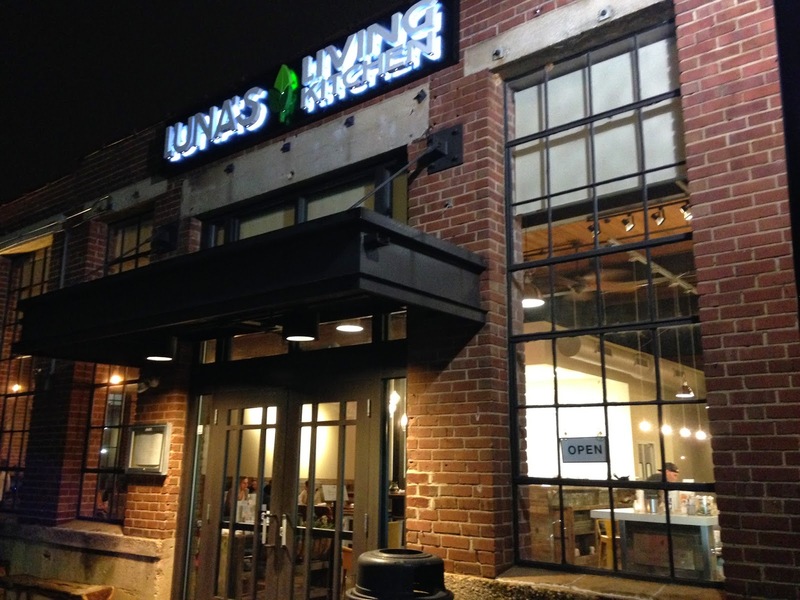 Luna’s Living Kitchen is mostly raw and vegan, so obviously I was in love with it before even going to the restaurant. 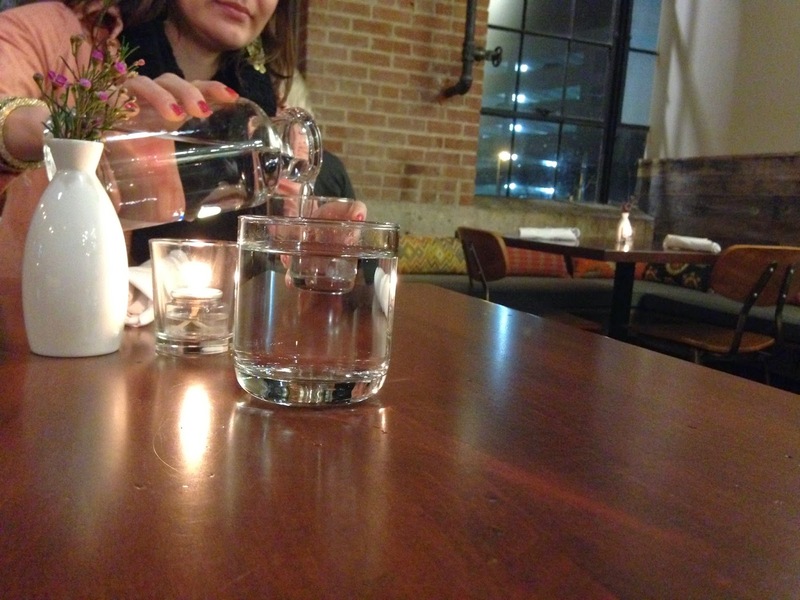 The atmosphere was a wonderful; quiet, dimmed lighting, comfortable seating, and great service. After feeling overwhelmed at looking at the huge menu filled with delicious sounding food and drinks, we each settled on what we were going to order. I got the Mock-Tuna Salad Sandwich with a side of Broccoli Waldorf and Hanna got the Pad Thai dish. Our food came out in less than ten minutes, and we both tried to savor the delicious food but it was so good we quickly devoured it. 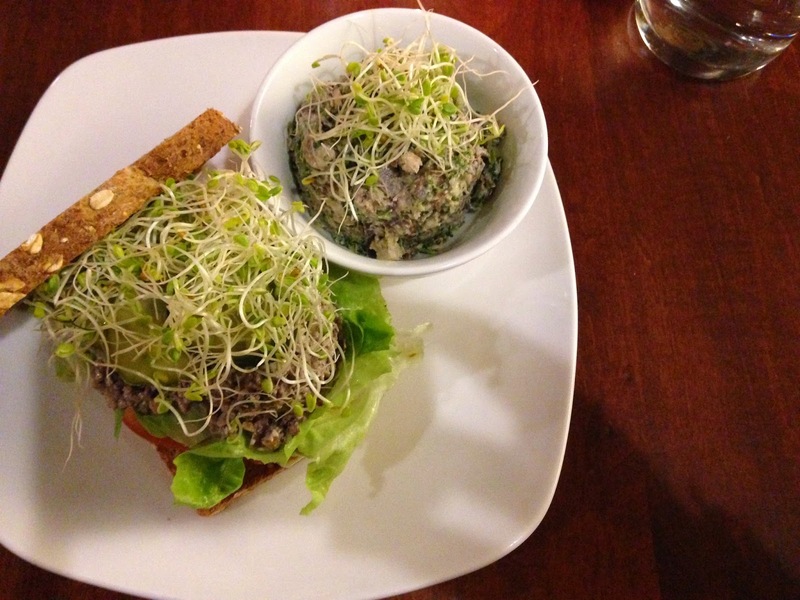 I love going to vegan restaurants, specifically raw vegan because it never takes very long for the food to arrive. Because the chefs aren’t dealing with meat, or sometimes stoves/ovens it takes very little time to prepare which is the best when you’re really hungry! Have you ever eaten something that was so wonderful, you knew that you’d never forget it….not only the meal, but the atmosphere or events that were taking place while eating it? I call these “life meals.” I love asking people what their life meals are, because I feel like it really helps me to understand that person.